China is not just battling environmental issues through laws/ policies/ etc., they are also turning to technology to engage the public. This isn’t surprising given the rise of technology, big data, smart cities and so on. The convergence of technology and China’s ‘War On Pollution’ is really coming into fruition, with only more to come. 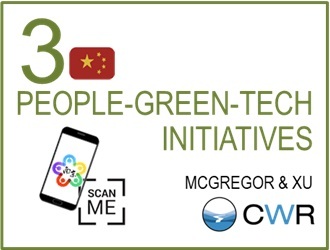 This Christmas, we share three people-green-tech initiatives (apps, app functions & QR codes) from China driven by governments and private corporations. My Nanjing is an app that centralises various types of public service information for residents of Nanjing. It includes insurance information, water/gas fees, transportation details, medical care and others. The information is tailored to residents, e.g., when and how much you have to pay for water/gas and social insurance premiums, which is the best route to go to work, your personal medical report, etc. My Nanjing is based on a smart city concept. A main component and incentive of the app is the green credit system. Through all the information collected it analyses residents’ green activities, for example if they use public transport or cycle to work instead of drive and residents collect credit. These green credits can then be used to purchase certain items from the online shopping mall in the app. 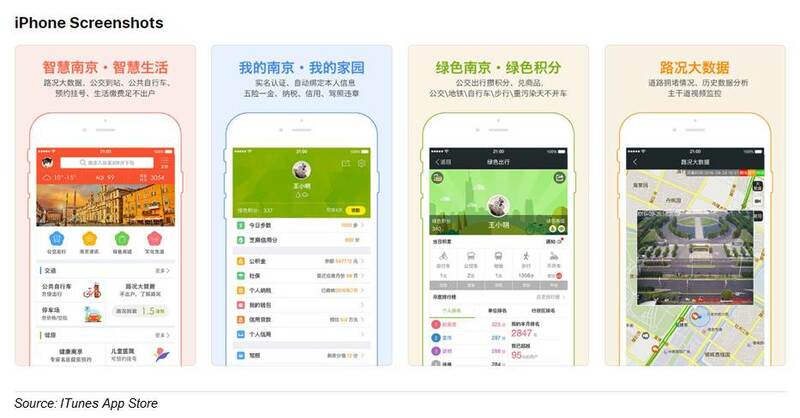 The app has almost 3 million users now, over a third of Nanjing’s 8.3 million population. The idea behind this initiative is to develop an efficient waste management system across Ningbo city. Started in 2013, residents in 666 neighbourhoods were handed rubbish bags with QR codes. Now more than 82% of the city is covered. The QR codes contain data describing whether the bag should contain food or non-food waste. When disposing of waste, residents scan the QR code and the corresponding waste receptacle opens for the waste to be disposed, which helps to accurately sort the waste. Random inspections are conducted. If the bag indeed only contains the denoted type of waste, then the corresponding household is awarded a high mark. However, if the bag does not contain just that kind of waste then the corresponding household receives no/ a low mark and will be educated on sorting. Individual households are rewarded for scoring high marks with incentives, for example 15 eggs. Similarly, entire buildings will also be rewarded if the building scores highly. According to the Ministry of Housing and Urban-Rural Development in 2018Q2, the Ningbo waste system ranked 3rd among 46 cities nationwide. Xiamen and Shenzhen were 1st and 2nd. The initiative has had RMB1.5 bn in investment so far, of which RMB554 mn came from a loan from the World Bank. Ant Forest is a special feature of Alipay, under Ant Financial, which was created as a corporate social responsibility project. In the Alipay app you can activate a special feature and Ant Forest will open a carbon account for you. The account then accumulates carbon points if the account holder does any of the 16 listed activities, for example, using public transportation, going paperless in the office etc. These points are then used to water and grow your own virtual tree. 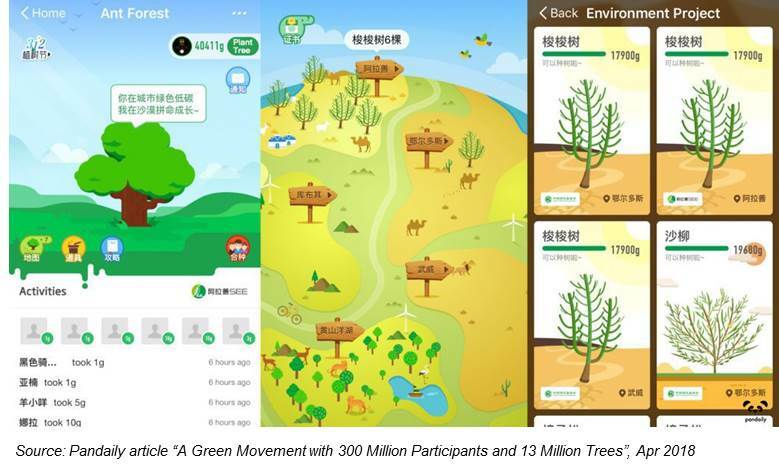 After the virtual tree is fully grown (with constant watering by accumulating more carbon points), Ant Financial and their charity partners plant a real tree. Users can track the growth of trees through satellite monitoring. Ant Forest was launched in August 2016. As of May 2018, Ant Forest has 350 million users, accumulated a carbon reduction of 2.83 million tonnes, planted and maintained more than 55 million real trees (in various locations across China and Inner Mongolia). These initiatives are indeed exciting and promising of a greener lifestyle. However, before we all start making apps or designing QR code systems, we need to have a serious look at our runaway data use as there are already some pretty serious climate implications; more on this here. Dawn leads China Water Risk’s projects in the textile space, as well as conducts research and analyses on broader water risk and its disclosure. She is also responsible CWR’s communications and extensive network. She showcased these skills at World Water Week, where she has twice been lead rapporteur presenting key findings in the closing plenary, as well as contributing to conference’s conclusion papers. She has also delivered keynotes at various industry conferences, corporate events and investor forums in China and around the world. Dawn previously worked in a global investment bank analysing and mitigating non-financial risk in Asia Pacific. This included crisis management, business resiliency and geo-political risk assessment. She now continues her work in risk assessment with a new focus of China and water. Dawn has a background in science with a degree in Biology and Business, which she chose with the view of bridging the scientific world with the corporate & public sector to create synergistic opportunities. Dawn was born and bred in Hong Kong and has lived in France, England as well as Singapore & Beijing. Yuanchao uses his analytical proficiencies towards the assessment and visualization of water risks for China Water Risk. Prior to joining, Yuanchao was based in Europe completing the Erasmus Mundus Master Program where he specialsed in hydro-informatics and water management. He applied his skills in climate forecasting and water resource modelling to the EUPORIAS project with DHI (Danish Hydraulic Institute) which resulted in a conference paper on seasonal climate forecasting. Building on this work, he went on to develop hyfo, an open-source R programme for climate scientists and modellers to analyse and visualize data. Yuanchao’s bachelor degree was from the China Agricultural University where he specialized in heat energy and power engineering. During his time there, he also patented a testing instrument for hydraulic machinery. He has studied and worked in Beijing, Nice, Newcastle and Copenhagen.